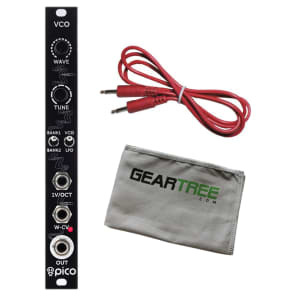 Erica Pico VCO is great, deep sounding VCO with 32 selected waves – classical, fattened with sub-oscillator, FM synth and others. Typically you need several rather expensive modules to generate similar sounds. Extra feature - flip a switch, and you have a versatile LFO!